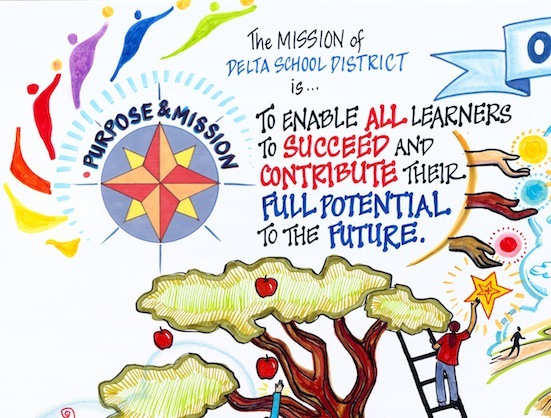 During the 2010/2011 school year, the Delta School District embarked on a journey to truly identify its future direction. 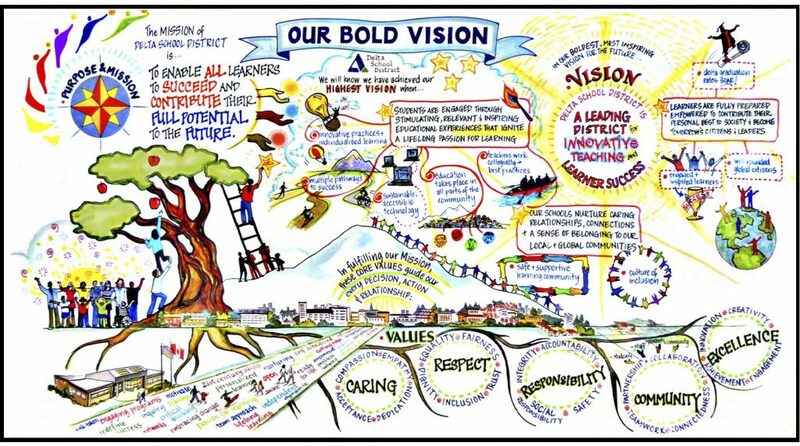 All schools and school sites took part in a visioning process where they were asked to define their Big Bold Vision. Students, teachers, parents, and staff actively came together under the direction of a professional facilitator to brainstorm and narrow their focus. A graphic artist captured the ideas in drawings along the way. In the end, a concrete mission, vision and set of values were determined. 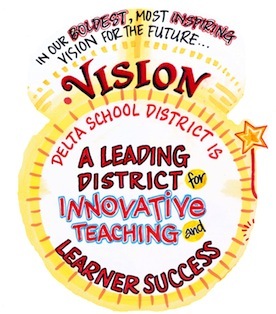 The Delta School District is a leading district for innovative teaching and learner success. Students are engaged through stimulating, relevant and inspiring educational experiences that ignite a lifelong passion for learning. Our schools nurture caring relationships, connections and a sense of belonging to our local and global communities. To enable all learners to succeed and contribute their full potential to the future.